This formation is simply the inverse of a Head and Shoulders Top and often indicates a change in the trend and the sentiment. The formation is upside down in which volume pattern is different from a Head and Shoulder Top. Prices move up from first low with increase volume up to a level to complete the left shoulder formation and then falls down to a new low. It follows by a recovery move that is marked by somewhat more volume than seen before to complete the head formation. A corrective reaction on low volume occurs to start formation of the right shoulder and then a sharp move up that must be on quite heavy volume breaks though the neckline. Another difference between the Head and Shoulders Top and Bottom is that the Top Formations are completed in a few weeks, whereas a Major Bottom (Left, right shoulder or the head) usually takes a longer, and as observed, may prolong for a period of several months or sometimes more than a year. 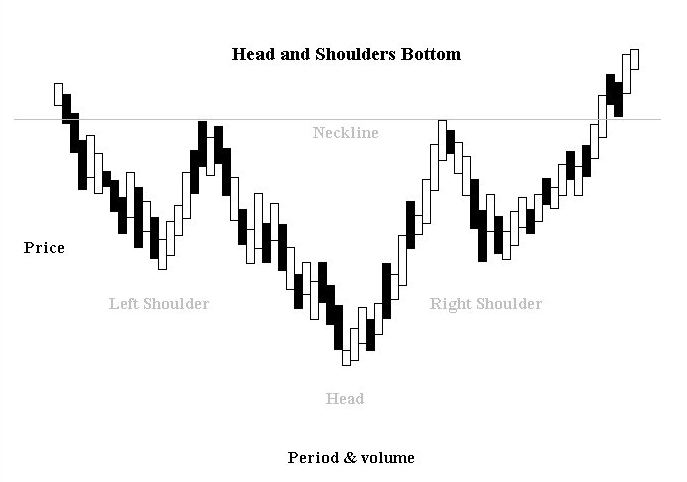 On many chart patterns, any one of the two shoulders may appear broader than the other which is caused by the time involved in the formation of the valleys. The neckline may not be perfectly horizontal; it may be ascending or descending. If the neckline is ascending then the only qualification of the formation lies in the fact that the lowest point of the right shoulder must be noticeably lower than the peak of the left shoulder. If the price advance preceding the Head and Shoulders top is not long, the subsequent price fall after its completion may be small as well. 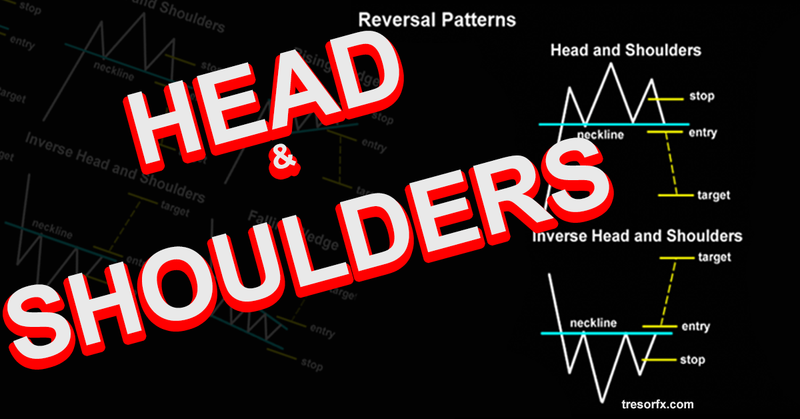 This type of Head and Shoulders pattern has more than one left and/or right shoulders and/or head. It is also known as Multiple Head and Shoulders pattern.